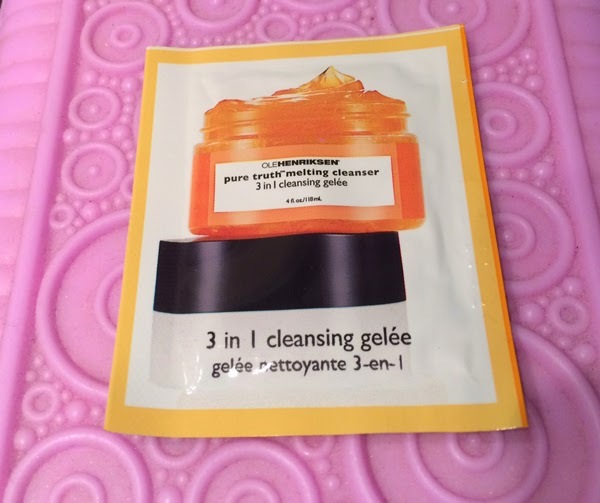 THE SKINNY: Even though "gelee" was on the package, I did not expect Ole Henriksen Pure Truth Melting Cleanser to actually look and feel like jelly. But that did not last long. As I rubbed the cleanser in my hands, it turned to more of a thick foam wash.
And it smelled so clean -- a great citrus sent -- that I am not sure I would have even noticed if it left makeup behind. Though I am pretty sure it removed almost every trace of foundation, shadow and mascara from the day. CHECK IT OUT: You can buy direct from Ole Henriksen or at retailers such as Sephora.